La Liga and Barca latest news. 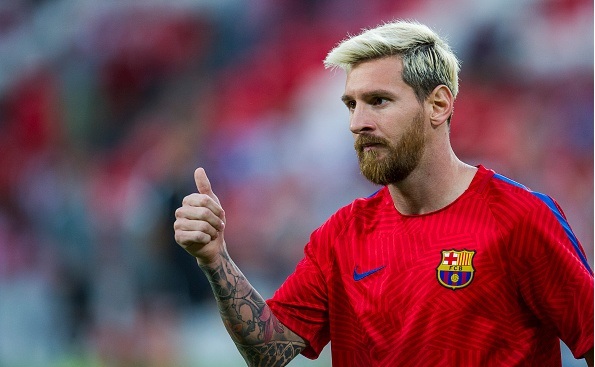 Barcelona sporting director Robert Fernandez has revealed that Lionel Messi will sign a new deal soon. Barcelona sporting director Robert Fernandez has revealed that Lionel Messi will sign a new deal soon. Barcelona officials have revealed that they are confident that Lionel Messi will sign a new bumper deal at the Camp Nou. The 29-year-old Argentinean attacker has two years left in his current contract and the reports have linked him with a move away from Barca. He is yet to sign a new deal and this news alerted several top clubs. Manchester City and Chelsea were reportedly the clubs willing to sign him for a world record fee earlier this summer. However, sporting director Robert Fernandez has told clearly that Messi will sign the deal this season. Neymar has already sealed a new five year deal and they are confident that the four times Ballon d’Or winner will also pen. Furthermore, Fernandez said that Barca did great signing this summer, they signed Samuel Umtiti for £21.2million from Lyon. Also, Andre Gomes and Paco Alcacer from Valencia this summer for £25million and £29million, respectively. Also, Fernandez told that regarding Shkodran Mustafi move to Arsenal that the Premier League side have paid a little too much. Despite of the quality £35million is very high for the German center-back.